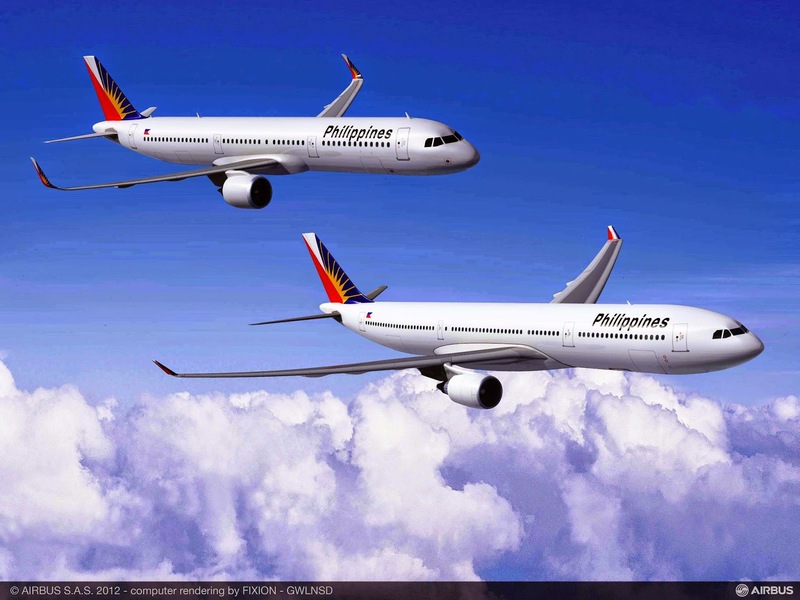 Aviation Updates Philippines - National flag carrier, Philippine Airlines, announced that it will place two additional orders of the Airbus A321neo for its re-fleeting program. The airline has finalized an agreement with Airbus regarding the acquisition of the two additional A321neo aircraft, Philippine Airlines said. Computer generated photo of Philippine Airlines Airbus A321-200 and Airbus A330-300. "The A321neos will enable PAL to continue to grow its current single-aisle fleet and spread out its aircraft delivery stream in line with market growth," it said. However, Philippine Airlines recently announced that it will defer aircraft deliveries by four years. These two new orders will bring to 40 the total number of deliveries that Philippine Airlines will receive from Airbus up to 2024, the carrier said in a statement. The airline also said that it has revised the delivery schedule for 10 of its existing aircraft by an agreement with the manufacturer, Airbus. According to Philippine Airlines' spokeswoman, Cielo Villauna, the jets will be used for domestic routes. The airline recently announced that it will deploy its Airbus A321-200 to all its flights going to Cebu and Davao, replacing the Airbus A320-200. Philippine Airlines president, Jaime Bautista, said that the airline is currently finding a foreign investor to help fund its expansion programme that includes purchasing new long-haul aircraft such as the Airbus A350 and the Boeing 777X.